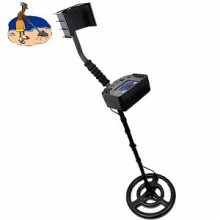 This 1.5 Meters Depth Underground Metal Detector with LCD Display not just a new line of detectors, but a new way of thinking. Wide range detecting, precise positioning, good induction and easy to operate. It has rugged outdoor design in the industry. These attention-stealing detectors are turning heads and sending the competition back to the drawing board. But put aside their aggressive good looks and you'll see just how much amazing technology we've packed into these new machines. From custom notch discrimination, pinpointing, adjustable sensitivity and depth settings to the newest addition of the coils series. 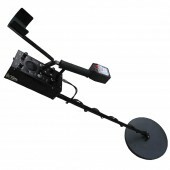 With a metal detection and identification of metal function conversion, this 1.5 Meters Depth Underground Metal Detector can be used to explore underground metal and metal mineral. And it can distinguish non-ferrous metal and black metal. It has speaker voice reminder and battery low electricity hints. 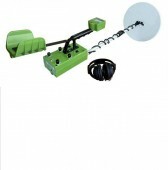 When connecting cable or loose automatic alarm, the induction coil will break the automatic alarm. Apart this it has the LED luminous function. Wanting to buy one? Come and contact with us. Just as I have expected. Just as I have expected. I am very satisfied with it. As an old customer of yours, I think that your product is of good quality and sound price. It is really worth buying. Great seller. Item exactly as described with super fast shipping, good deal. Great Detectorall. Fast shipping. Great communication. Great prices. Awesome!